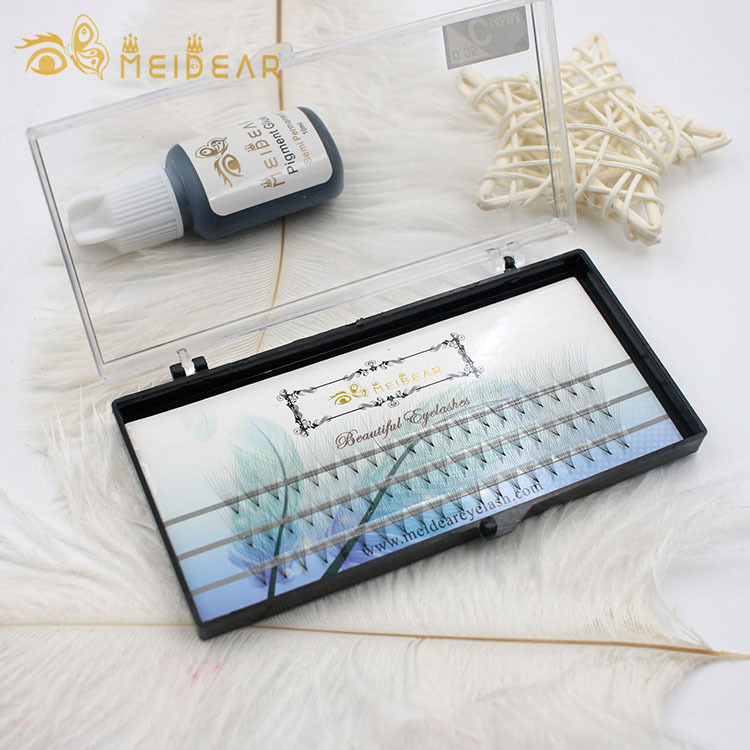 Best eyelash supplier provide handmade Russian volume lash extensions with 2D 3D 4D 5D fans.Handmade Russian Volume style extensions are thinner and lighter extensions,they are used which allows to place 2-20 fans extensions on our natural lash according to the condition and health of our lashes. 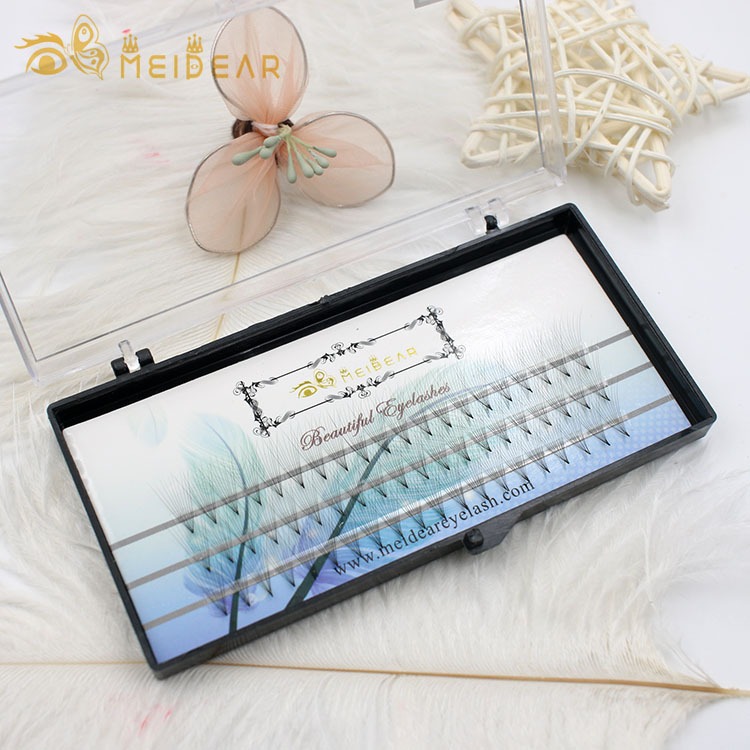 You can have the most natural and dramatic lashes as you expect.Handcrafted best quality volume lashes are perfect for people who do not have many eyelashes, have very sparse lashes,or just want a glamorous look. The main advantage of Prefan Russian layering lash extension is that it gives people a full, high impact glamorous look with natural lashes.It is a special lashes pick up, using special tools,with customizing the fans,2-20 fans more thickness are added.People are prefer like prefan lashes over traditional.Very lightweight,fluffy,thick and volume. 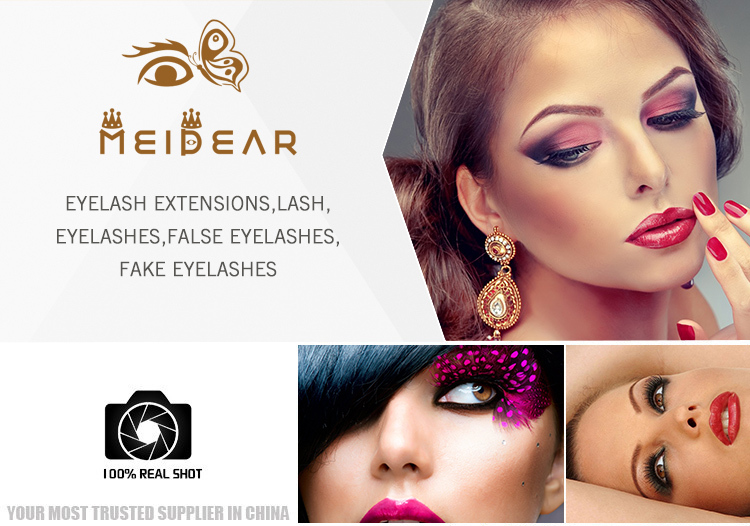 Meidear eyelash company supply many kinds of prefan eyelashes,C and D curl, thickness 0.05mm, 0.07mm and 0.10mm.Both long stem and short stem. The russian volume lashes technique takes thinner lashes,the end result is a fluffy and soft lash line. If take good care of ,they can last very long time and maintain safety of the natural lashes. Our pre-fanned volume lashes are lightweight and they are better for natural lashes.With good care,they can last longer than classic eyelash extensions.